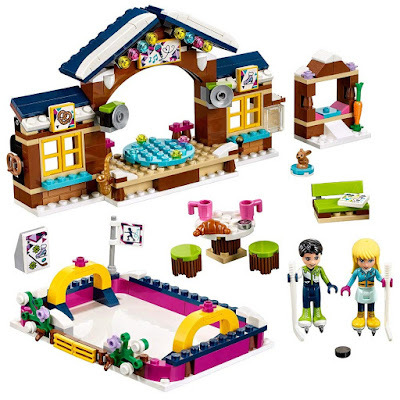 Right now you can get this LEGO Friends Snow Resort Ice Rink Building Kit on sale for $18.99 (Retail $29.99). Winter is a great time to get outdoors and have fun, and that is what the lego friends are doing at the snow resort ice rink set. Your child will have a great time building and playing with this colorful model and their imaginations will run wild with this exciting set. Whether it's performing on the ice rink stage or playing a quick game of hockey, kids will find lots of stories to tell in this winter wonderland. Combine it with lego friends snow resort ice chalet and snow resort skI lift to continue the winter fun!